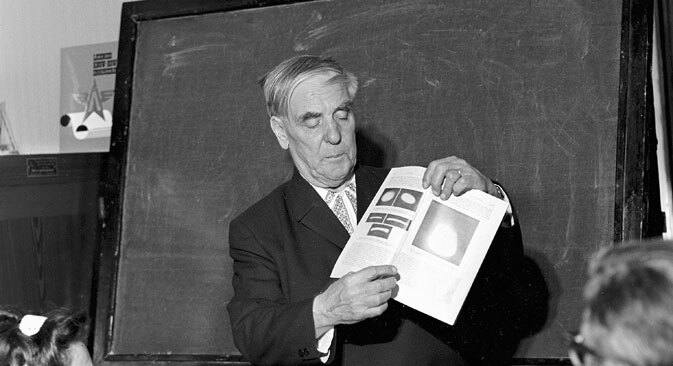 July 8, 2014 marked the 120th anniversary of the birth of scientist Pyotr Kapitsa, one of the 14 Russian Nobel laureates in science. The famous physicist not only solved some of the most complex scientific problems of his time, but also fought for personal freedom, fearlessly writing letters to Stalin himself. For Nikolai Kudryavtsev, the value of Pyotr Kapitsa’s contribution to science is indisputable. Kudryavtsev is rector of the Moscow Institute of Physics and Technology, a university that was founded based on Kapitsa’s ideological convictions. Speaking to RBTH, Kudryavtsev argued that the Soviet and Russian physicist set the course for scientific development for many years following his death. “Learning from Kapitsa and using his work as a measuring stick for our own accomplishment is relevant for all of us even in 2014," said Kudryavtsev. A brilliant scientist and talented leader, Kapitsa could find common ground with just about anyone, be it a simple lab worker or Soviet leader Joseph Stalin, whom Kapitsa managed to convince that the USSR needed an Institute for Physical Problems. "Kapitsa’s whole idea was that the authorities should do absolutely random and unpredictable things from time to time. Otherwise, subordinates will always know what to expect from their leader, which would be discouraging. Man should not know when lightning might strike, and Kapitsa was definitely a kind of lightning," Kapitsa’s former student, academician Lev Lugansky, told RBTH. So what was the great scientist’s life like? In 1921, Kapitsa came to Cambridge and asked the famous British physicist Ernest Rutherford to accept him as a graduate student. "You have about 30 people. If you accept me, it would be a 3 percent margin of error, which you allow for in your experiments. Just think of me as our margin of error," Kapitsa said. Such resourcefulness and nerve impressed the great physicist, and Kapitsa got the place he coveted. Rutherford particularly favored the young scientist. His laboratory was like a small factory. Kapitsa essentially became the father of experimental physics – a field of science which later impressed the world with its giant colliders and super-powerful lasers. Thanks to his scientific accomplishments, Kapitsa became a legend over the course of the 13 years he spent in Cambridge. In 1929, he was made a Fellow of the Royal Society. In 1930, the Russian from a Communist society became a professor who was held in high regard by the British elite. Kapitsa occasionally came back from England to the USSR to visit his mother. Every time, the Soviet ambassador had to provide Rutherford with a guarantee that the Russian scientist would be allowed to return. However, in 1934, Kapitsa allowed himself to leave England without obtaining a guarantee first. He ended up living in the USSR without the right to leave for over 30 years. After returning from England, Kapitsa said that he could not conduct scientific research in the Soviet Union, since he did not have the necessary equipment and staff. Meanwhile, all the front pages of major Western newspapers featured headlines such as "Vanished Professor," "Russia Arrests Renowned Scientist,” and "Shocks for the Scientific World." Chairman of the Council of People’s Commissars Vyacheslav Molotov demanded a written refutation from Kapitsa, but the scientist refused. He continued bargaining with the authorities until he got what he needed. One of the factors that contributed to Kapitsa’s success was his letter to Stalin, which was quite defiant in tone. Nonetheless, the government was so interested in Kapitsa’s work that the authorities built him an institute in just one year’s time (the Institute for Physical Problems), provided him with personnel and, most importantly, purchased duplicates of Kapitsa’s equipment from his lab in Cambridge, where he used to work with Rutherford, for 30,000 pounds. In 1945, when Kapitsa was at the height of his fame, he was included in the top-secret committee that was working on the development of the atomic bomb, which was headed by Beria. Suddenly, the scientist’s fate took a sharp turn when he wrote Stalin a letter asking the USSR leader to remove him from the committee. Kapitsa cited his relationship with Beria as the formal reason for the request, but the real reason, as Kapitsa later explained, was his attempt to protect his friend, a Danish scientist named Niels Bohr, from Soviet intelligence. After his conflict with Beria in 1946, Kapitsa was in disfavor for nine years, but continued his research in physics. He became interested in a new field – high-power electronics and plasma physics, and created the first high-frequency generators at his summer home. In 1955, after Stalin's death, Kapitsa was reinstated as director of the Institute for Physical Problems. He not only infected young scientists with his ideas, but also secured government funding for new projects. He argued for the need to support his developments by claiming that the team would be able to create beams of electromagnetic radiation of colossal power that could be used to take down enemy planes. Even then, the idea of cutting the wings of enemy planes with laser guns made quite an impression on party members. Based on materials from Rossiyskaya Gazeta and Argumenty i Facty. Pyotr Kapitsa discovered the phenomenon of superfluidity of liquid helium, for which he received the Nobel Prize in Physics in 1978. Kapitsa introduced the term "superfluidity" to the academic community. He also worked in the field of low temperature physics and studied very strong magnetic fields and high-temperature plasma. Kapitsa also developed a turboexpander - a high-performance industrial installation used for the liquefaction of gases. Additionally, Kapitsa’s pendulum is named after Pyotr Kapitsa. Kapitsa’s pendulum is a mechanical phenomenon that demonstrates stability at a point of unstable equilibrium.